If you have the Moon in Gemini, your emotional satisfaction comes first and foremost from communication. Whenever you are in love, you can’t stop talking to your lover; whenever you’re single, you can’t stop complaining that you’re single and exhausting your friends with endless details of what you’ve tried to find Mr Right. Gemini Moon compatibility is best with someone who loves to talk too – or failing that, someone who doesn’t mind your endless chatter. 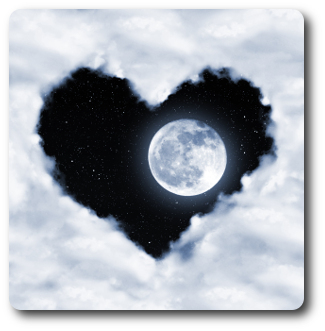 The Gemini Moon in love is a charming sight to behold. 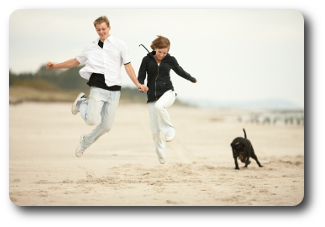 You positively skip with joy when you’re happy, and you have an eternally youthful energy. Sometimes, however, when the going is not so great, this child-like vibe can turn rather childish and petulant. With the Moon in Gemini, your greatest weapons are your words, and you can hurt a partner deeply when you choose to, simply by knowing exactly which buttons to press and what to say to wound the most. Fortunately for the rest of us, this is a talent you rarely use for ill. For the most part, the Gemini Moon person in love is chatty, lively and quick witted. You’re fun to be around, and that in itself ensures that you’re rarely short of admirers. Jealous signs may struggle to deal with your flirtatiousness, however. The thing is, the Gemini Moon in love doesn’t set out to be flirty….it just happens. You’re just having a conversation, you think…while behind the scenes, your partner fumes and seethes over a little bit too much eye contact, one gesture too many or a smile that’s a little bit too wide. For this reason, Gemini Moon compatibility needs to be with someone who isn’t overly possessive. You’re a bit of a social butterfly, and you need the freedom to spread your wings. Although intelligent and communicative, the blend of airy, logical Gemini and the watery, instinctive Moon can have its complications for this planetary placement. You’re not all that comfortable with your inner emotions, which in a relationship with an intense partner can lead to an emotional disconnect. Sitting down and analysing your deepest feelings isn’t much fun for you – in fact, it’s rather terrifying – so you prefer to keep emotions at arm’s length. When the Gemini Moon is in love with a deep partner, you can be helped or taught to not fear your emotions, but your compatibility is generally higher with bright and breezy signs which don’t threaten your happy little bubble. In order to increase your Gemini Moon love compatibility, meditate on your feelings, or learn to journal; through writing or art therapy, you can get closer to your inner self, which will in turn help you when you’re forming a relationship with someone else. Love yourself first.